This Revised Act is an administrative consolidation of the Local Government Services (Corporate Bodies) Act 1971. It is prepared by the Law Reform Commission in accordance with its function under the Law Reform Commission Act 1975 (3/1975) to keep the law under review and to undertake revision and consolidation of statute law. All Acts up to and including Hallmarking (Amendment) Act 2019 (2/2019), enacted 14 February 2019, and all statutory instruments up to and including Water Safety Ireland (Establishment) Order 2019 (S.I. No. 56 of 2019), made 15 February 2019, were considered in the preparation of this Revised Act. All statutory instruments up to and including Water Safety Ireland (Establishment) Order 2019 (S.I. No. 56 of 2019), made 15 February 2019, were considered in the preparation of this revision. Authorities to which Act applies. Membership, staff, administration, financial and other matters. Laying of orders before Houses of the Oireachtas and sending of copies to members of those Houses. Previous affecting provision: certain functions of Minister under Act transferred (18.06.2002) by National Roads and Road Traffic (Transfer of Departmental Administration and Ministerial Functions) Order 2002 (S.I. No. 298 of 2002), in effect as per art. 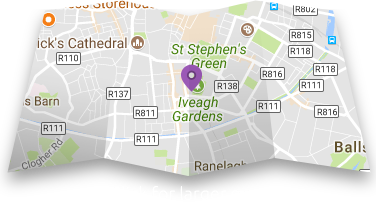 2; rendered obsolete by the dissolution of (a) Dublin Transportation Office (1.12.2009) by Dublin Transport Authority Act 2008 (15/2008), s. 102(1), S.I. No. 474 of 2009, and (b) National Safety Council (10.10.2007) by National Safety Council Dissolution Order 2007 (S.I. No. 813 of 2007), art. 2. Previous affecting provision: application of Act extended (1.02.1987) by Dublin Metropolitan Streets Commission Act 1986 (30/1986), s. 3, S.I. No. 15 of 1987, to order made under that section. Corporate body thereby established dissolved (1.07.1987) by Dublin Metropolitan Streets Commission Act 1986 (30/1986), s. 4, S.I. No. 146 of 1987. Previous affecting provision: application of Act extended (1.01.1982) by Fire Services Act 1981 (30/1981), s. 16(5), S.I. No. 430 of 1981, to order made under that section. Fire Services Council established thereunder (22.06.1983) by Fire Services Council (Establishment) Order 1983 (S.I. No. 175 of 1983), in effect as per art. 1(2); dissolved (3.01.2018) by Local Government (Miscellaneous Provisions) Act 2012 (17/2012), s. 10(b), S.I. No. 4 of 2018. Previous affecting provision: certain actions taken by or on behalf of certain bodies established under Act excluded from investigation (1.04.1985) by Ombudsman Act 1980 (26/1980), s. 4(4) and sch. 2, as amended (1.04.1985) by Ombudsman Act, 1980 (Second Schedule) (Amendment) Order 1985 (S.I. No. 69 of 1985), in effect as per art. 1(2), subject to proviso therein; substituted (30.04.2013) by Ombudsman (Amendment) Act 2012 (38/2012), ss. 6, 16, commenced as per s. 1(3), by which Ombudsman Act 1980 (26/1980), a. 4(4) and sch. 2 were substituted with new provisions which no longer include any reference to bodies established under this Act.